Congratulations to our pal Rob Geboers and his Schnauzer Radio Orchestra for getting onto such a great album. This is a gallery containing issue #1 of the Dante’s Inferno comic book. It helped me realize that my interest in the Dante’s Inferno may not extend past its marketing campaign. 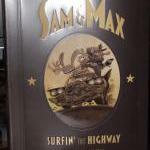 At last; there’s been too much not-Sam-&-Max coming from Tell-Tale for my tastes. I only hope they’ll distribute this new season through GameTap as they did the previous seasons. Jolicloud is a Linux distribution that is tailored for netbooks. The project’s leader is Tariq Krim, co-founder of Netvibes. If you’re interested in Google’s ChromeOS, give Jolicloud a look; it serves a similar purpose, and it’s available now. 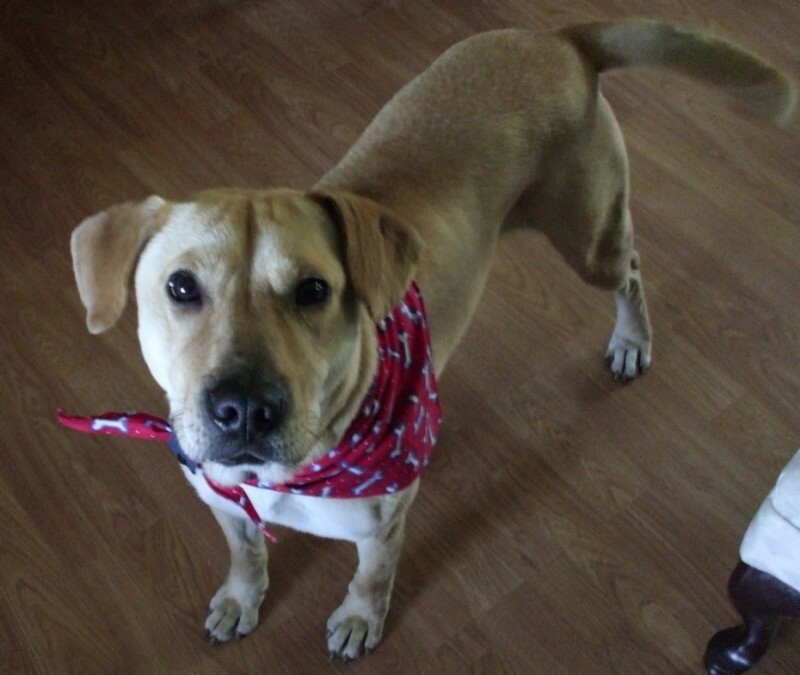 Bill Harris writes about why he loves King’s Bounty: The Legend. I’ve been playing it over the last few months, and I love it as well. I’ve had some technical issues just as Bill did, but nothing that couldn’t be dealt with. Check out his article for a bit about why King’s Bounty is a great game. This is a pretty nerdy gag for network TV. Kudos to whichever writer on his staff pitched this. Tiger On PC; Sam & Max, Mice Killers; Dude, E3!! While I always enjoyed swinging with a mouse instead of a toggle stick, the PC versions of Tiger Woods were getting the shaft on features for a few years. I’m very glad to see that Tiger’s coming back in such a “PC” way. 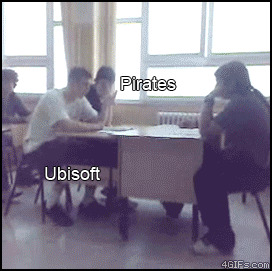 A very interesting development. This is no doubt to cater more to the console audience, as the Sam & Max games have been appearing places like XBLA and WiiWare. But as I recently expressed in my Broken Sword 3 post, I’m not married to the point-and-click control scheme in adventure games, as long as the alternative is well implemented. I’m not gonna lie, I do enjoy leaning back in my desk chair with a gamepad from time to time, when playing an appropriate game. After last week’s comic post I found that I am much more excited about reading my comics. I really dig recommending stuff that I love, especially if it’s possibly not getting the attention that it deserves. 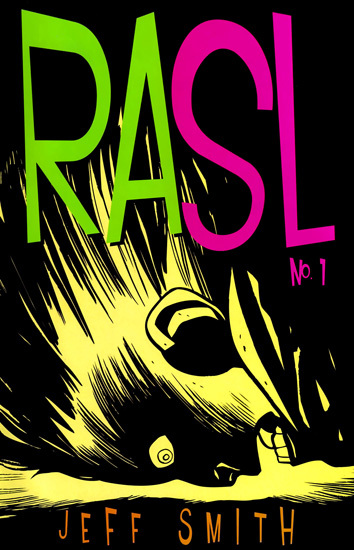 Though I am sure that his name alone is enough to sell most people his books, I’ve fallen for Rasl, the latest creation both drawn and written by Jeff Smith. You may know of Jeff from his work on the fabulous Bone comics, which were adapted into a two episode adventure series by TellTale, the same great folks who are now bringing us Sam & Max episodes. 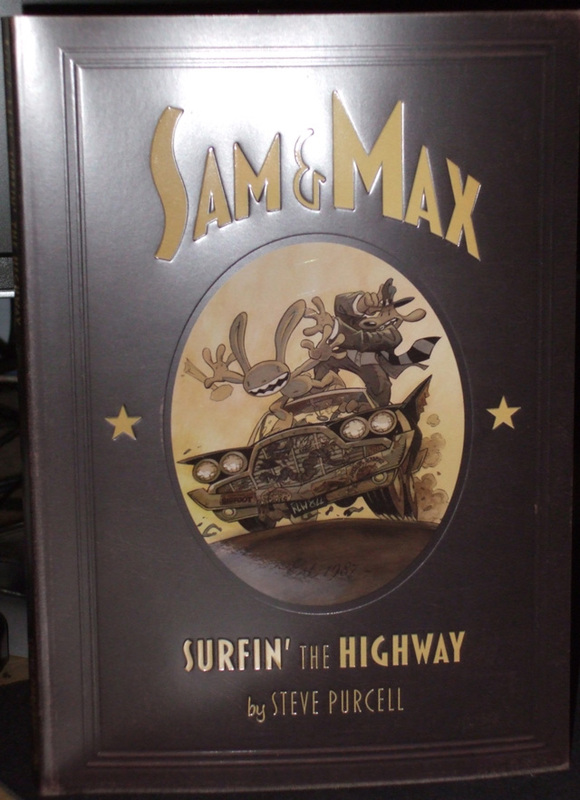 We’re all big fans of the Sam & Max games here, so we were excited to see that a TPB (that’s Trade Paper Back) collection of all Sam & Max comics and prints from 1987 to the present was released last Wednesday. I just got mine in the mail today (I get my comics shipped from across the country). It’s very pretty, as you can see; nice cover. I have never read the original comics and I have been looking to expand my TPB collection, so the timing on this is perfect. Just a heads up on the coming-out of this collection, to whom it may concern. You can pick it up from your local comic shop, or the usual places online like Amazon should be carrying it.